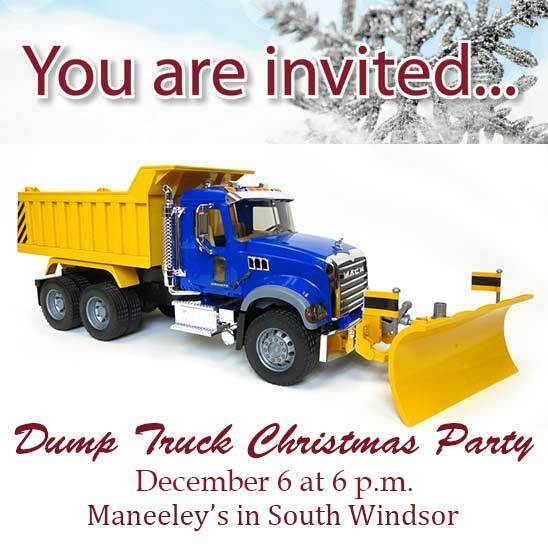 The 64th Annual Dump Truck Association Christmas Party will be held for members and their guests at 6 p.m. on Thursday, Dec. 6 at Maneeley’s in South Windsor. The Christmas Party committee has planned a holiday feast with all the trimmings. All requested tickets for the event must be paid for in advance. Payments shall be made through the MTAC office by using Mastercard or Visa. 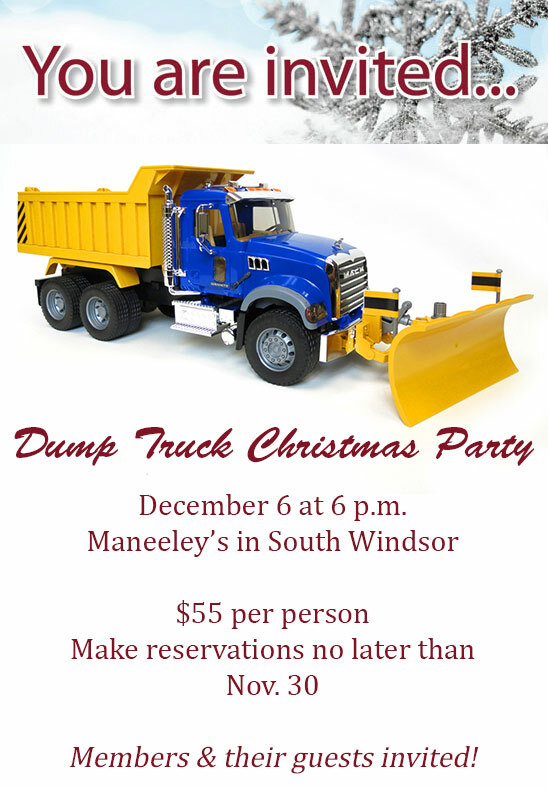 The price is $55 per person – including tax and tip – and guests are welcome if they have a ticket. A cash bar will be available. You can purchase tickets from any committee member, by completing the online form below (preferred), or calling the MTAC office at (860) 520-4455. Tickets must be purchased no later than Nov. 30. Tables may be reserved in advance for groups of 10. Help spread the cheer by donating quality items including small hand tools, electronic gadgets for our holiday raffle. Hats and T-shirts are also welcome, but nothing beats a new drill! Special thanks to the Christmas Party Committee including: Chairman John Vasel III, Alan Baumert, William Mitchell, Dustin Mitchell, Chris Russo, Philip DeSiato, Dennis Botticello, Hal Pierce, Mike Covensky and Herb Holden.